Hopewell, Texas, now under Squaw Creek Lake. 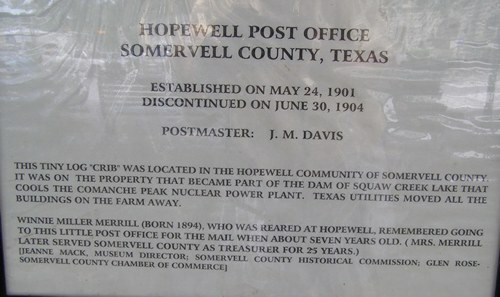 There are (or were) Hopewells in Franklin, Houston, Red River, Smith, Upshur and Williamson Counties. Somervell’s Hopewell is now covered by Squaw Creek Lake. 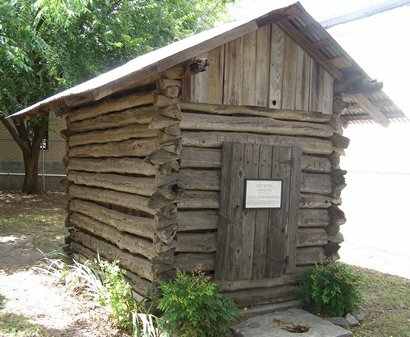 Fortunately, great effort was taken to preserve a part of the forgotten community by moving its tiny post office to Glen Rose to sit on the courthouse square next to the museum.